Killing Floor fans, and fans of killing astonishing amounts of digital monsters more generally, rejoice! After months of waiting, Tripwire Interactive has announced that Killing Floor 2 will hit Steam Early Access on April 21. Work is ongoing, but the Early Access release will be very much along the lines of what we saw in last week's PC Gamer Show hands-on, with four classes, three maps, and something in the neighborhood of 11 monsters. It will sell for $30/₤20/€27. 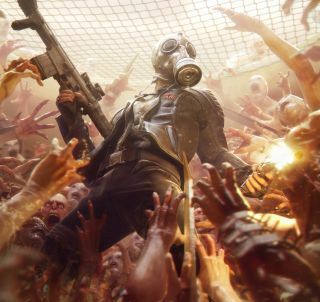 Set in the immediate aftermath of Killing Floor, Killing Floor 2 takes place on continental Europe, which has been engulfed by a rapidly-spreading viral outbreak that turns its victims into ravenous, flesh-eating mutants. With society on the verge of collapse, civilians and mercenaries team up to establish bases, track outbreaks, and deliver the only cure proven to work: sticky, red-hot death. Want to know more? Have a look at our breakdown of the first four classes that will appear in the game, and check out a couple more gameplay videos, including one at the Hell on Earth difficulty.